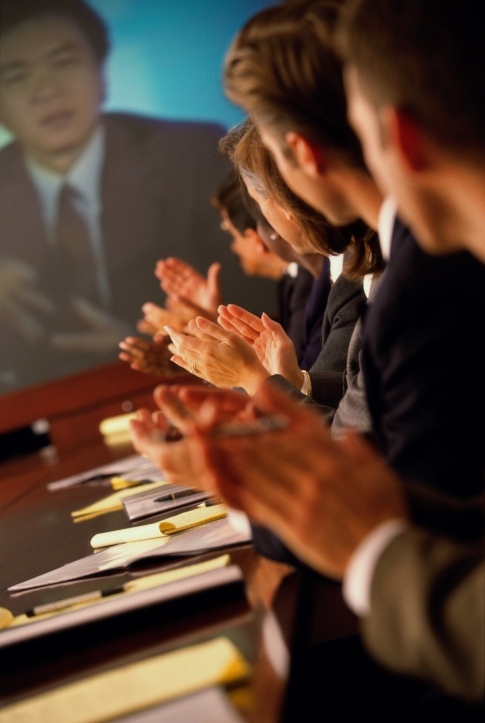 Aid your business’s success with crystal clear video teleconferencing. A picture is worth a thousand words, and crystal clear video teleconferencing is worth even more. The ability to offer a live video conference is an extreme asset to any business with clients or partners who may not have the time or money to constantly travel to your headquarters for in-person conferences. A video teleconferencing system from FiberPlus includes speakers, microphones, displays, and control hardware. Video teleconferencing systems are useful in boardrooms, meeting rooms, and remote classrooms. If you’re thinking about adding the dynamic of video teleconferencing to your business, read on to learn about the many surprising benefits of a video teleconferencing system. If your business has several locations, you understand the stress involved in traveling between them. You waste time, energy, and money in travel. A video teleconferencing system allows you to be in two places at once and saves you the stress of travel. This is especially important for business associates or clients who may be required to travel across the world to talk to you in person. You can save them the hassle and expense of travel by offering video teleconferencing services. Having this service is likely to improve your relations with your clients and increase productivity within your company. As mentioned above, having a video teleconferencing system helps to increase productivity within your business. How does it increase productivity? If you have satellite offices or other multiple locations to report to, you can save yourself travel time by reporting there digitally. This means that the time spent traveling can be instead used for productive work. The momentum of your employees also won’t be slowed by having to travel. Plus, since you or your employees won’t have to travel, that means you will feel less stressed and more motivated. Just as a video teleconferencing system is great for improving employee morale, so it is also great for improving your relationships with your clients. Your clients will be relieved that meeting with you and your team is so easy and won’t cost them the time, energy, and money that traveling does. Good client relationships are the core of any successful business. If you use video teleconferencing in your customer service center, you’re also more likely to encourage more customer loyalty than if you use a regular call center. Video teleconferencing means that you have faster communication. Faster communication means that you can more easily stay abreast of the latest industry news and ideas. Your team will be able to communicate more efficiently, which means that they will be more likely to be effective and successful. Time is money, so it’s imperative that you cut out excessive time that slows down your team. Communicate ideas faster and get products out to clients more quickly. This entry was posted on Monday, January 11th, 2016	at 6:17 pm	. You can follow any responses to this entry through the RSS 2.0 feed. Both comments and pings are currently closed.